A 5-year-old could do better than this. Luckily, you're a grown man. Try a message that does this instead. 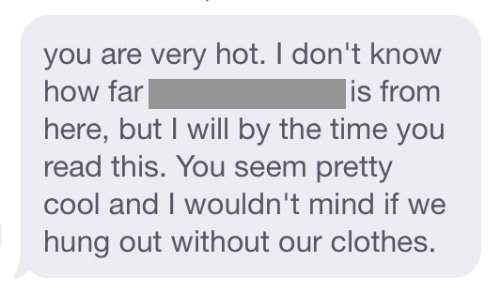 I'll keep my clothes on, thanks very much. Like in a sexual way...or a "Silence of the Lambs" way? This emoji situation is out of control. That makes two of us, buddy. 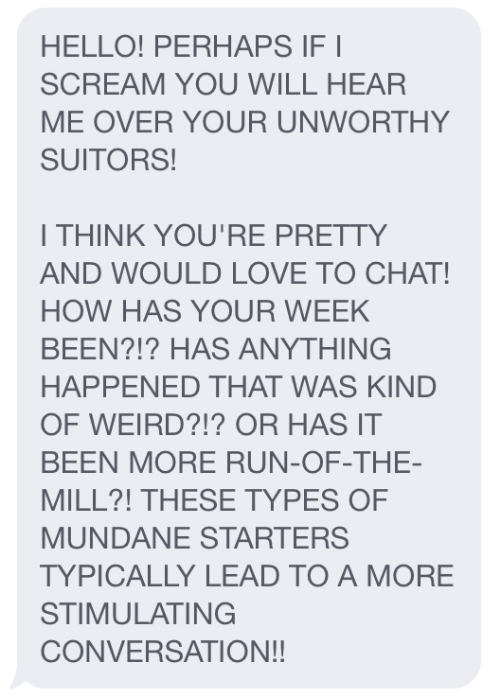 Meanwhile, writing your profile like this might actually get you some action. 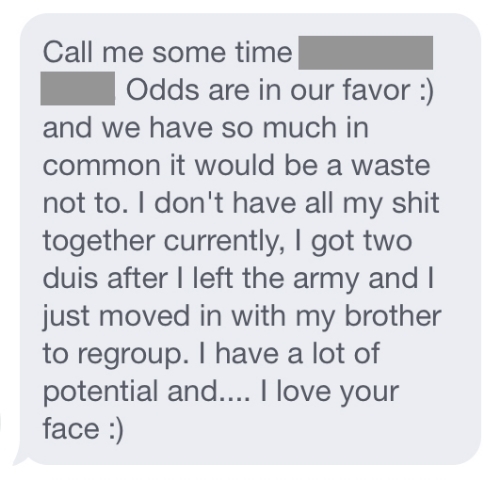 I asked this guy if this message has helped him meet any women in person. "The most private thing I'm willing to admit" throws a lot of guys off. They usually answer: "That I have this profile," or "If I admit it, then it wouldn't be private." Boring. This prompt is an awesome opportunity to STAND OUT, show your personality, and be funny or interesting. You can do better than this guy! Here's how. 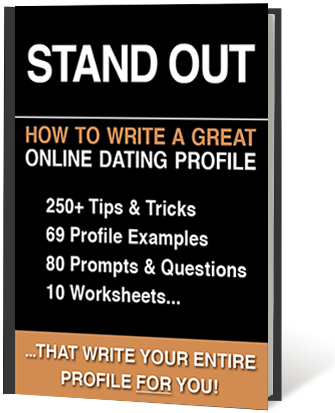 Here's 8 online dating profile pictures that *actually* help you meet more women. It's hard out there for a grizzly bear. Thanks, but I’m not really looking for a Jaime/Cersei Lannister dymanic.